We value work – probably a little bit too much. But it’s important to respect your employee’s personal time. When employees have a healthy work/life balance, they’re happier, healthier and more productive. Finding that balance isn’t always easy, especially in rigid work environments. 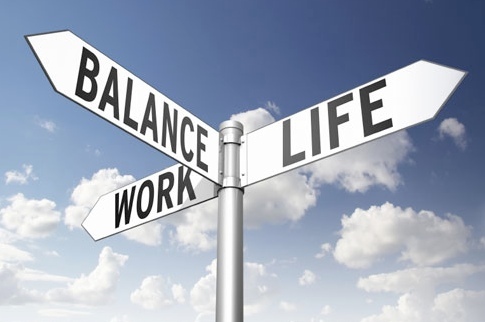 Use the tips below to help your employees achieve a healthy work/life balance. PTO (Paid time off) days are a critical part of maintaining a healthy work/life balance. But most employees don’t use all of their vacation days. Why? Because they’re afraid work may pile up while they’re gone. Some prefer to save their days for when they’re needed. Time off is a great way for employees to recharge, relax and refocus. So, encourage your employees to take advantage of this job benefit. Aside from PTO, you can also provide your team with some free time. Give them a longer lunch break, or reward their hard work with a day off. If possible, give your employees more control over their work schedule. You may even consider allowing each employee to structure their own workweek or workday – providing they still put in the required number of hours each week. Google and Microsoft allow their employees to choose their work hours. Other employers are adopting the four-day workweek. Telecommuting is another great way to encourage a healthy work/life balance. Research shows that employees are less stressed and have higher morale when they’re able to telecommute. With today’s technology, telecommuting is easier than ever. Be mindful of how much work you’re giving your employees. Redistribute projects as necessary, and if an employee is overloaded, offload some of that work to another competent team member. If a project isn’t a priority, consider pushing it back, or scrapping it altogether. Also, consider helping employees learn how to better manage their time through technology and delegating certain tasks. And if necessary, temporary staff can help ease some of the workload. When employees have a healthy work/life balance, they’re more productive, happier and more likely to stick around. 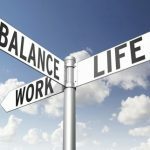 Taking steps to help employees achieve this balance will ensure that projects run smoothly and employee morale is high. At Employment Solutions, our expert employment specialists are available to assist your company with locating great employees to help you meet your goals. Contact us today to discover how we can find you the stellar employees your company deserves.